While some students go on trips for spring break, nine-year-old Zoey Halbert spent hers turning an old dollhouse into a tiny library. These libraries, part of a new trend in Colorado Springs, provide a free exchange of children’s books. 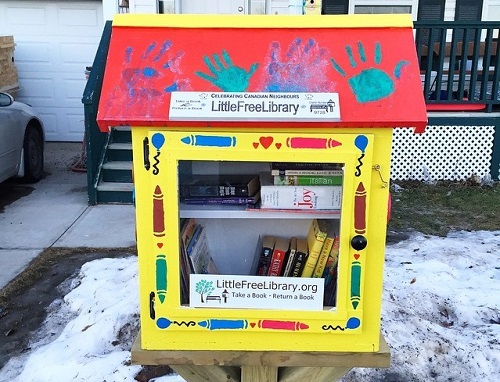 The name of Zoey’s project is “Our Little Library,” and she created it because the school she attends, Mountain Song Community School, does not have a full library. “I just feel that kids should read because it’s really fun and it makes you get more smart,” Zoey said. The idea for the library is, “Bring a book, trade a book.” Her hope is that children take the books, keep them in nice condition, and return them. While Zoey and her dad are spreading the word about “Our Little Library” and are receiving donations of books, they still need more. Not only are they accepting children’s books, but young adult books and those for older readers are also welcome. In December 2014, NPQ also reported on the passion of eight-year-old Madison Reid from Cleveland for Little Free Libraries. Her mother is an advocate for one of the local Little Free Libraries, and Madison was recorded in a video describing why the libraries are so important.